The world first learned of the concentration camps in Bosnia after British Journalist Ed Vulliamy broke the Omarska story. 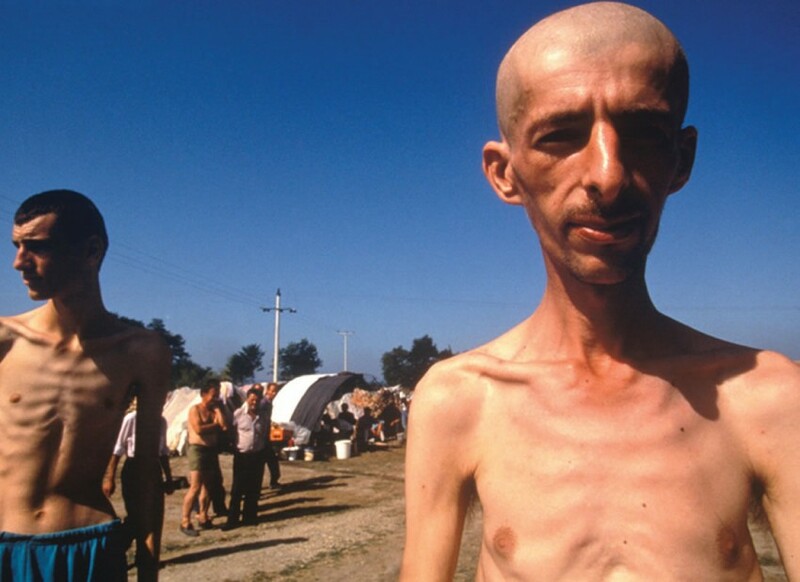 An emaciated Fikret Alić appeared on the cover of Time Magazine, and suddenly, the realities of a hidden genocide became apparent. 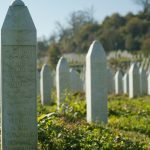 As war broke out, the Bosnian Serb Army began a systematic attack on Bosnian Muslim towns and villages, massacring civilians and taking many others prisoner. As the Serbian stronghold expanded, so did the numbers of those captured. Female detainees were held separately in the administrative building. According to the Serb authorities documents from Prijedor, there were a total of 3,334 prisoners held in the camp from May 27 to August 16, 1992. 3,197 of them were Bosnian Muslims. With the arrival of the first detainees, permanent guard posts were established around the camp, and anti-personnel landmines were set up around the camp. The conditions in the camp were abysmal. In the building known as the “White House”, the rooms were crowded with 45 people in a room no larger than 20 square meters. Upon arrival, the detainees were beaten, often with rifle butts and wooden and metal sticks. It is reported that men would suffocate during the night and their bodies would be taken out the following morning. The room behind the restaurant was known as “Mujo’s Room”. The dimensions of this room were about 12 by 15 metres and the average number of people detained there was 500, most of whom were Bosnian Muslims. The detainees at Omarska had one meal a day. The food was usually spoiled and the process of getting the food: eating and returning the plate, usually lasted around three minutes. Meals were often accompanied by beatings. The toilets were blocked and there was human waste everywhere. Vulliamy testified that when he visited the camp, the detainees were in a very poor physical condition. He witnessed them eating a bowl of soup and some bread and said that he had the impression they had not eaten in a long time. They appeared to be terrified. The detainees drank water from a river that was polluted with industrial waste and many suffered from constipation or dysentery. Several hundreds were slaughtered in concentration camps. Almost twenty years later, many remain undiscovered. Click here to read Sudbin Musić’s story of surviving Trnopolje Concentration Camp.